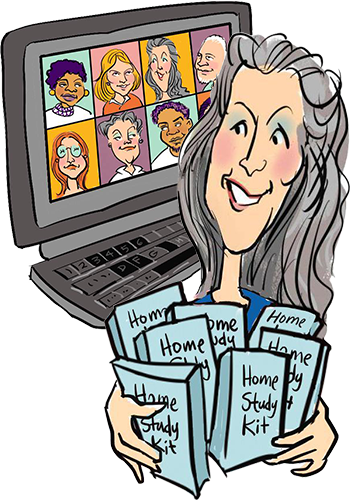 I had the pleasure of being one of eight speakers for the National Association of Women Writers’ Annual Tele-Summit last week. This event was jammed packed with information on all aspects of the craft and lifestyle of writing: legal, creativity, brand & platform, magnetic marketing, traditional and non-traditional publishing routes, etc. 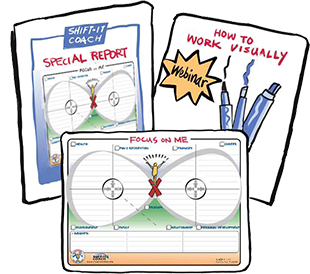 I was the last speaker of them all … doing a bit of graphic coaching with the group to help them integrate and apply their key learnings. 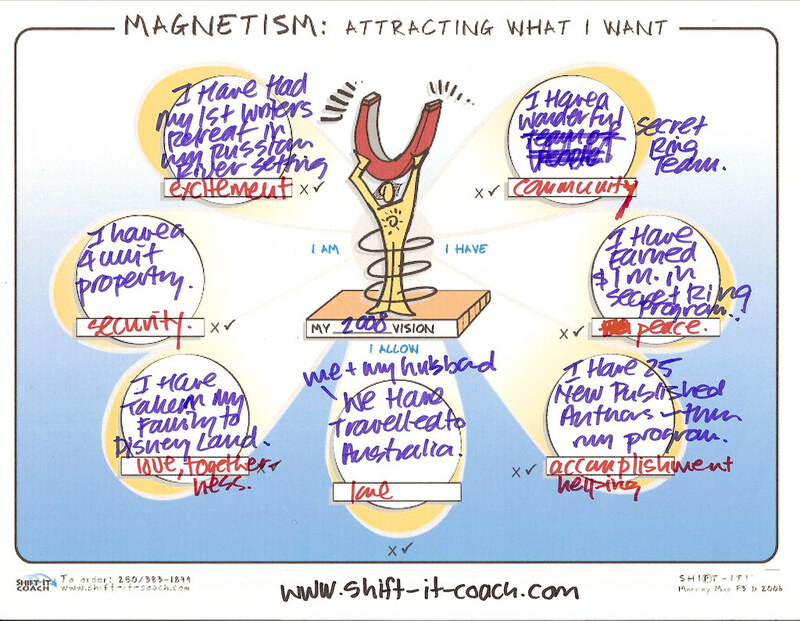 I helped them get clear on what they really, really wanted for themselves – introducing them to my personal vision creation tool: The Magnetism Map. As well as a simple way of finding the aligned actions they want and need to take in order to reach that vision: the Take Action Map. 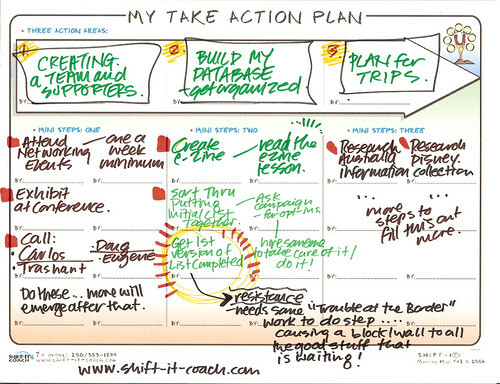 As a ‘process facilitator’ I work best in action with people (don’t like to just be a talking head – talking at people on calls) … so asked for a volunteer to work with, so we could really demo the tools around a specific person and their business and desires. A lovely woman named Joan volunteered herself and we had a great time working quickly to produce a vision and draft plan for her. See charts below. And, as a nice little coincidence, Joan is aware of and working with Law of Attraction (LOA) principles (one of the imbedded methods in my graphic coaching work). Part of her vision is about a LOA online community she is helping to launch, called The Secret Ring. I’m looking forward to seeing what this is all about, as it is due to launch early in March. Amazing how the LOA work is catching on and becoming so much more mainstream (even if an inevitable backlash is also brewing). That is the power of Ellen, Oprah, Larry King, etc. LOA-related articles popped up in the New York Times and Newsweek this past weekend too. Interest has certainly been peaked.